The Ford Focus has always been "almost there," an otherwise excellent car kept from greatness by one or two glaring faults. Even offering high-performance diesel didn't seem to give the Focus nameplate the same cachet as similarly sporty competitors like the Civic and the Lancer. But the smaller Fiesta has shown that with sufficient style and innovation, a Ford can come out on top. 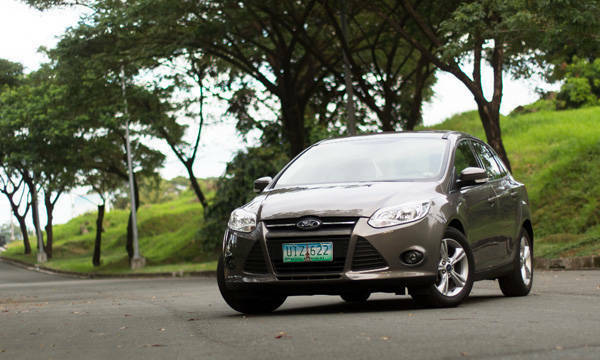 Now, Ford has pulled out all the stops and applied the same treatment to the Focus. But will this high-tech approach have the same appeal, or will it scare off typically conservative compact sedan buyers? The hatchback is an eye-catching shape, but the free-form taillights and the confusing confluence of concatenated surfaces out back seem overwrought. The sedan, however, looks sublime, especially around the rear haunches. The subtly radiused fenders and the tension from the offset character lines are lovely in the light. All that's missing are some bigger wheels. These clean lines also make for a slippery 0.295 coefficient of drag. The stormtrooper grille is a bit over-the-top, but breaks up the visual weight at the front. This is Ford's biggest compact ever, and every bit of cosmetic slimming helps. Thankfully, this extra size carries over to the interior. Cabin space and comfort take a quantum leap upward. They've finally fixed those formerly uncomfortable rear headrests, too. The wide range of adjustment for the well-bolstered seat and steering wheel makes for excellent driving ergonomics. The dynamic new cabin design looks and feels much more expensive than other cars in this price range, though there's still a preponderance of hard plastics, especially on the doors. There's a retro-Nokia dash console, as on the Fiesta. It's a lot nicer, but covered with even more tiny buttons. At least, they're nice buttons. 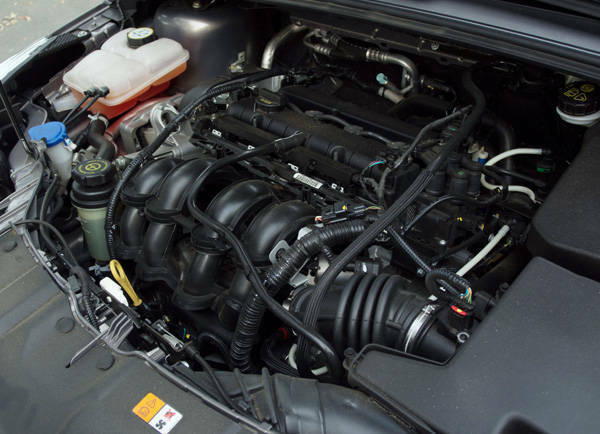 Instead of the fantastic 170hp 2.0, this unit uses the puny 1.6. While the motor strains to move the sedan's porky 1,300kg-plus mass, that smooth dual-clutch automatic makes the best of a dire situation by giving you the right gear as often as possible. Unless you're pulling out to overtake, the lack of power is largely unnoticeable. 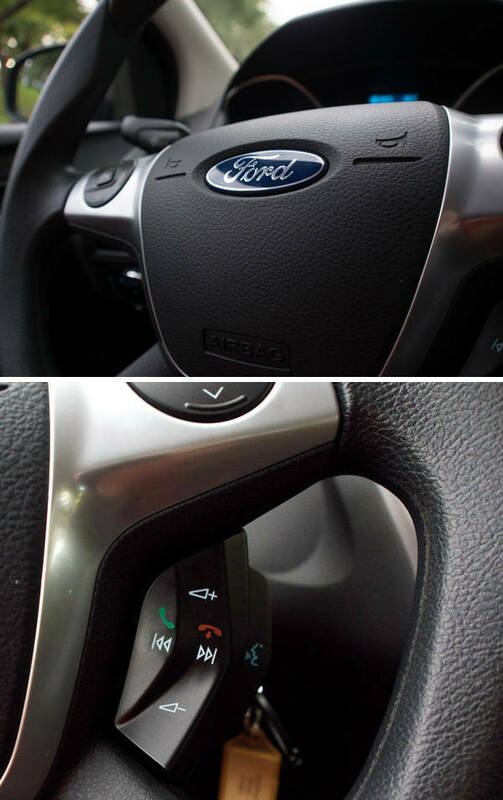 In stop-and-go traffic, the "Powershift" is still a bit clunky, and the push-button manual function is frustrating. While this gearbox upshifts more quickly and smoothly into second gear than the Fiesta does, I wish you could lock it completely out of first. Of course, foot-to-the-floor is more the Focus's style. The hydraulic steering is sharp and sizzling with feedback. They should retrofit this system to the Fiesta ASAP. A novel torque-vectoring system uses selective brake application to shuffle power to the outside wheel in turns, making handling even sharper. On the debit side, that heavy chassis takes time to settle between direction changes. In tamer driving, that weight makes the Focus ride like a bigger car. Its calm, composed and quiet ride seems more befitting a luxury car than a mass-market sedan. Nothing else in this class is nearly as good. Thanks to Ford's new naming conventions, the "Trend" is no longer the "stripper" of the lineup, but a midrange model, akin to the old "Ghia." 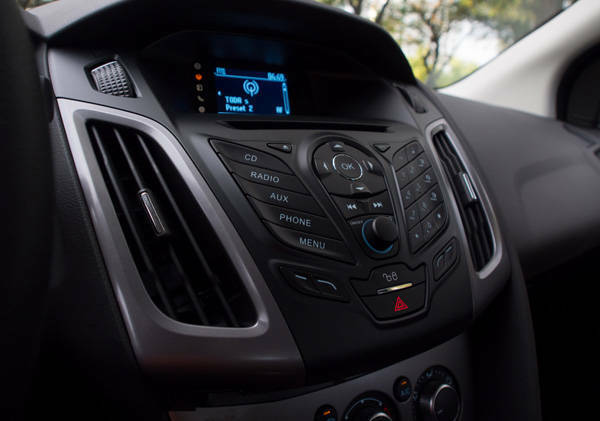 As such, it receives an excellent six-speaker sound system, multifunction steering wheel controls, and hands-free Ford Sync telephony and voice command options. Strangely, the Sync system isn't quite as all-inclusive as in the cheaper Fiesta Sport, and parking sensors have gone AWOL. But with what's there--plus hill-hold, stability control, torque vectoring, and active grille shutters (which close at speed for better aerodynamics)--the Focus is perhaps the most sophisticated 1.6-liter sedan on the market. Unfortunately, it's the most expensive, too. 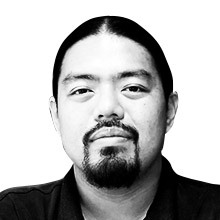 At P989,000, the Trend is heavy in more ways than one. 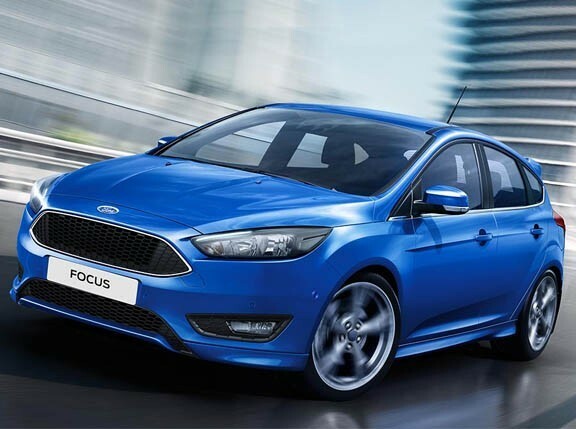 But for a "compact" class moving upmarket, the Focus sets a new benchmark in luxury and refinement. This variant, however, is still "almost there." That 1.6 is just too little motor for this much car. In fact, the 2.0 got slightly better economy during a recent DOE eco run (20km/L versus 19km/L). But it's a case of "almost great" instead of "almost decent." 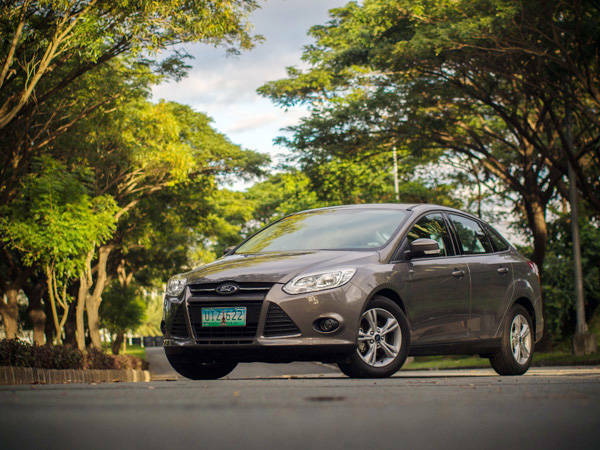 Skinny ankles or not, the Focus is one handsome, well-rounded car. At least, Prince Charming doesn't have buck teeth.